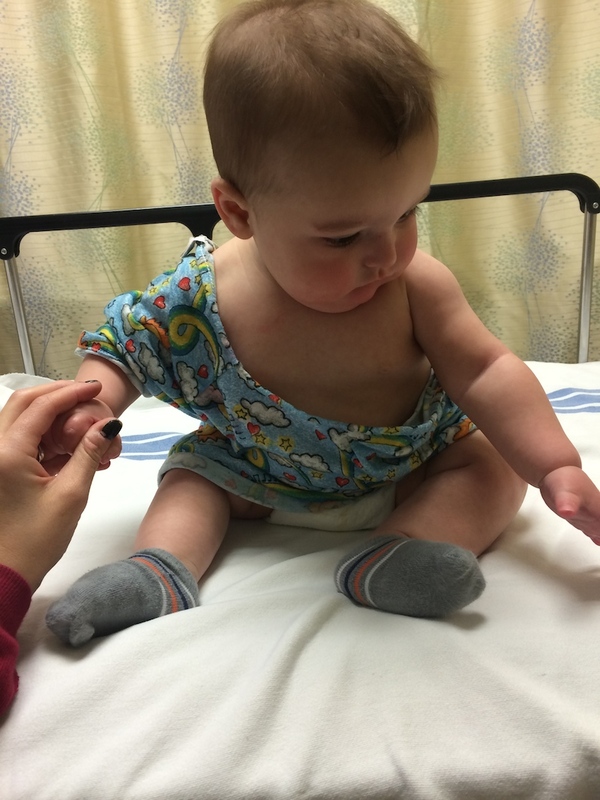 Last Tuesday, December 18, Zachary had tubes put into his ears. We’re hoping they will help him against ear infections. 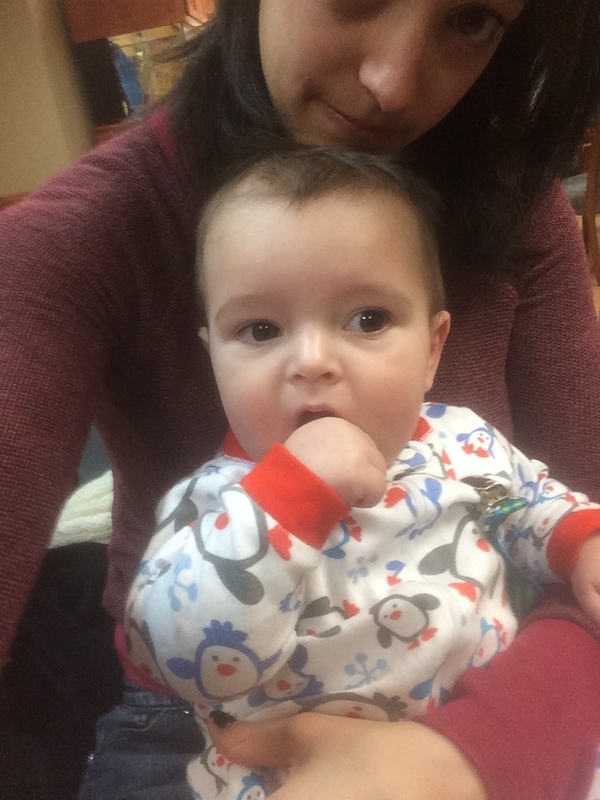 Since his first ear infection at four months, he had been on four different antibiotics and only had one well check-up where he was given the all clear. The antibiotics weren’t working and they were starting to mess with his sleeping, so we decided to be proactive and have him evaluated for tubes. For those who may not know, babies and young children who have trouble draining fluid from their ear canals and get a lot of ear infections as a result are candidates for tubes. Teeny little tubes are put by their ear drum to help with fluid drainage and hopefully to avoid infections. The tubes fall out after 6-12 months as the child grows. Zach’s are supposed to last 9-12 months. Hopefully, his ear canals will be bigger by that time and we won’t be back a year from now for tubes, round two. The entire thing went great. 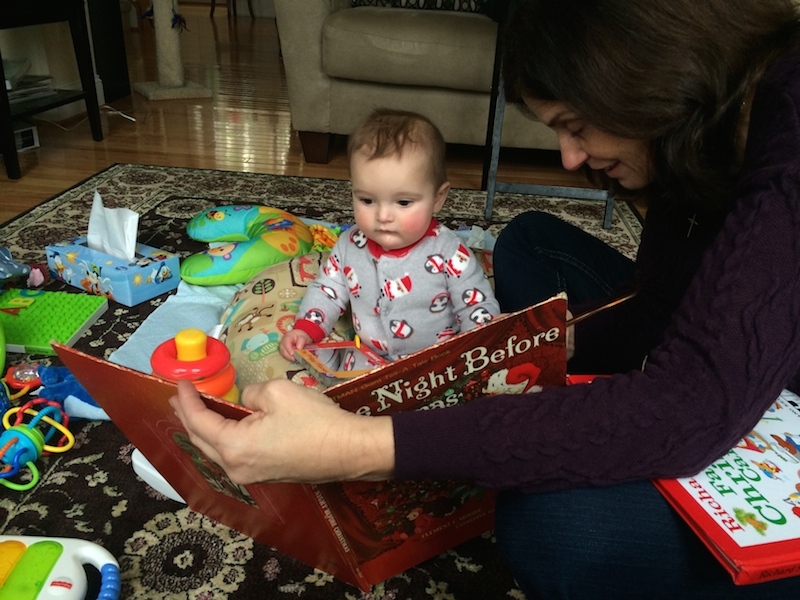 We were worried that Zachary would have a crying fit because he couldn’t eat after midnight and wouldn’t be able to nurse on demand when we woke him up at 5:30 a.m. that morning. We were also worried he’d freak out when they did the pre-op stuff with him (blood pressure, measuring oxygen levels, etc.). Luckily, our worries were unfounded. He did wonderfully. To help avoid some of the 5:30 a.m. hangry, I nursed him at 11:45 p.m., which was the last possible time he could eat. 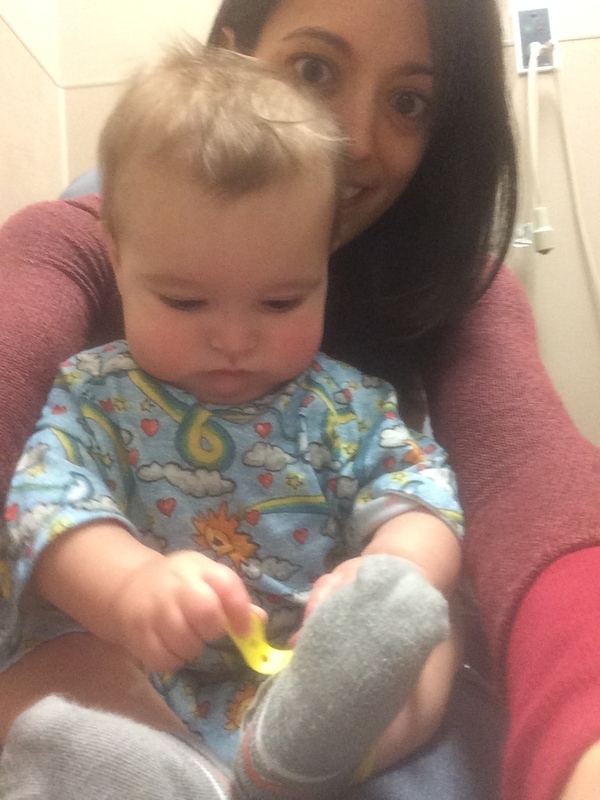 There were so many things to look at and new people to “meet” at the surgery center that he never get fussy once, not even when the nurse couldn’t get the little finger clip thingy (technical term) to stay on his little finger or when she took him from us to carry him back to the surgery room. He just stared at us as she walked him away then went right on looking around. He even flirted with all of the nurses. It was cute. We didn’t get to be in the room with him while they gave him the anesthesia and that was the only thing that bummed me out. However, it was only 20 minutes from the time they took him back to his room and the time we saw him in recovery. I hadn’t even finished my cup of coffee in the waiting room by the time the doctor came out to tell his that everything went well. The only “thing” was he had another double ear infection, so we had to go through yet another seven days of antibiotics. This time, they were ear drops twice a day for seven days. The goal is to start off 2015 antibiotic free! Woo. Rocking that “Morning after a daycare toga party” look in the recovery room. Playing and reading books right after we got home. What procedure?